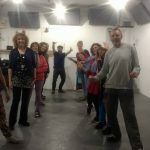 Laughter Yoga Wellbeing Workshop and Social !!! IMPORTANT Info. 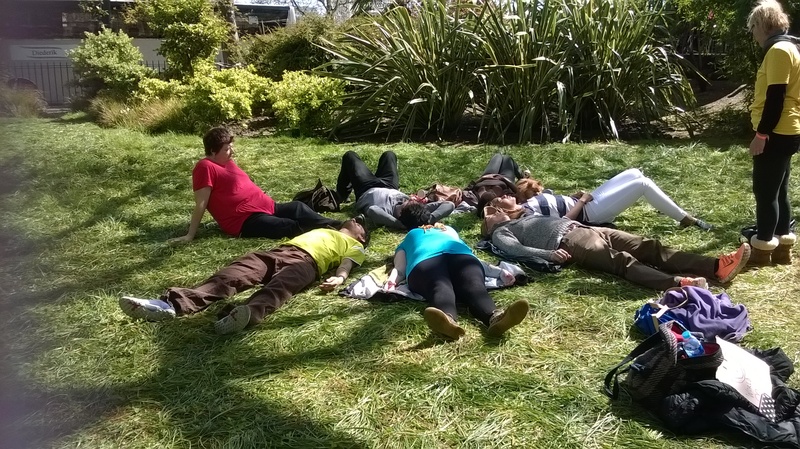 This is a Well-being Workshop and not suitable for those who have consumed alcohol prior to the event. 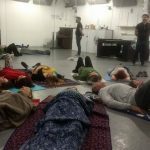 Reserve via </a><a href=”https://www.eventbrite.co.uk/e/laughter-yoga-wellbeing-workshop-and-social-in-london-tickets-34610747678#”></a><a href=”https://www.eventbrite.co.uk/e/laughter-yoga-wellbeing-workshop-and-social-in-london-tickets-37015901558″>https://www.eventbrite.co.uk/e/laughter-yoga-wellbeing-workshop-and-social-in-london-tickets-37015901558 or £10 on the day subject to availability. Please note, No Refunds for non attendance. 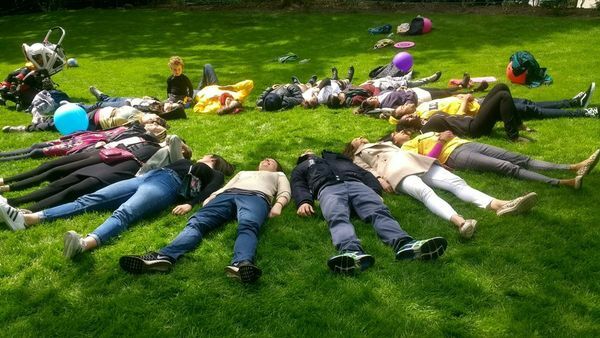 Click through to our Laughter Yoga London Website for more info and private group bookings. 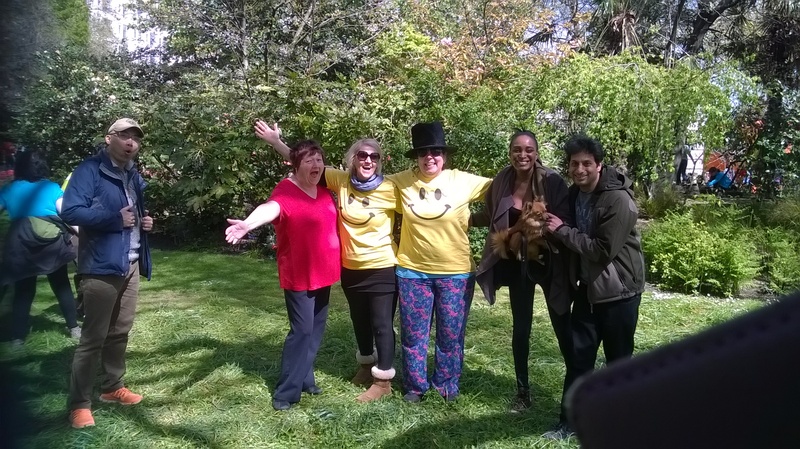 It is good to see so many businesses, charities, universities and colleges all embracing Mental Health Awareness month with many events planned and I am pleased to say we have already booked in several laughter workshops. There are various scholarly and research articles on the subject of Laughter and Mental Health. Many of the known physiological and psychological benefits are supported by the medical profession and various research studies. A few links to some interesting articles on the subject of mental health and laughter. In Summary – In modern society, fierce competition and socioeconomic interaction stress the quality of life, causing a negative influence on a person’s mental health. Laughter is a positive sensation, and seems to be a useful and healthy way to overcome stress. Laughter therapy is a kind of cognitive-behavioral therapies that could make physical, psychological, and social relationships healthy, ultimately improving the quality of life. Laughter therapy, as a non-pharmacological, alternative treatment, has a positive effect on the mental health and the immune system. In addition, laughter therapy does not require specialized preparations, such as suitable facilities and equipment, and it is easily accessible and acceptable. For these reasons, the medical community has taken notice and attempted to include laughter therapy to more traditional therapies. Decreasing stress-making hormones found in the blood, laughter can mitigate the effects of stress. Laughter decreases serum levels of cortisol, epinephrine, growth hormone, and 3,4-dihydrophenylacetic acid (a major dopamine catabolite), indicating a reversal of the stress response. Depression is a disease, where neurotransmitters in the brain, such as norepinephrine, dopamine, and serotonin, are reduced, and there is something wrong in the mood control circuit of the brain. Laughter can alter dopamine and serotonin activity. Furthermore, endorphins secreted by laughter can help when people are uncomfortable or in a depressed mood. Laughter therapy is a noninvasive and non-pharmacological alternative treatment for stress and depression, representative cases that have a negative influence on mental health. In conclusion, laughter therapy is effective and scientifically supported as a single or adjuvant therapy. Laughter is a very common behaviour in everyday life, nevertheless scientific literature is lacking in studies which examine closely its nature. The study aims are: to summarise the present knowledge about laughter and its relation with depression and to make hypotheses on its possible therapeutic function. In the first part of the review the main data existing about encephalic structures involved in laughter genesis, which show participation of cortical and subcortical regions, are reported and the effects of laughter on the organism physiologic equilibrium, particularly on the neuroendocrine and immune systems, are described. In the second part, scientific evidence about the influence of depression on the ability to laugh are referred, which suggests that reduction of laughter frequency is a symptom of the disease and that its increase may be used as a marker of clinical improvement. Finally, the main assumptions supporting the hypothesis of the therapeutic action of laughter on depression are examined: first of all, it has been demonstrated that laughter is able to improve mood directly and to moderate negative consequences of stressful events on psychological well-being; in addition, it is possible that the stimulation of particular cerebral regions, involved in depression pathogenesis, and the normalisation of the hypothalamic pituitary adrenocortical system dysfunctions, both mediated by laughter, can counteract efficiently depressive symptoms; finally, the favourable effects of laughter on social relationships and physical health may have a role in influencing the ability of depressed patients to face the disease. 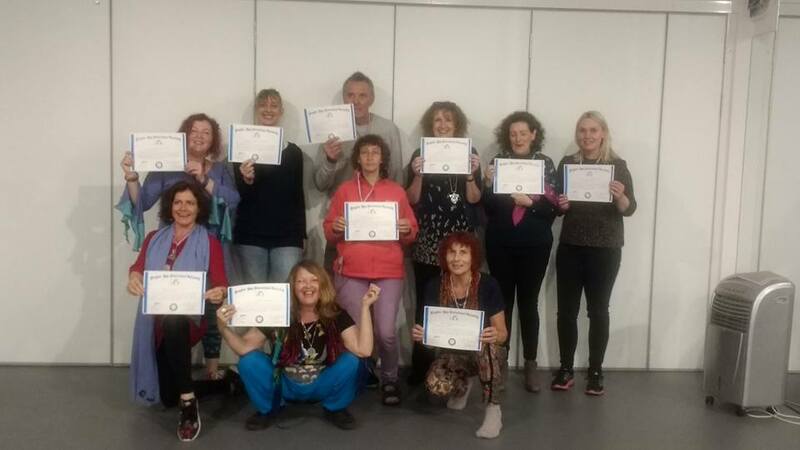 Reasons to adding a laughter workshop to your event and just some of the amazing benefits from our laughter yoga wellness workshops. to help people keep a positive mental attitude regardless of circumstances. 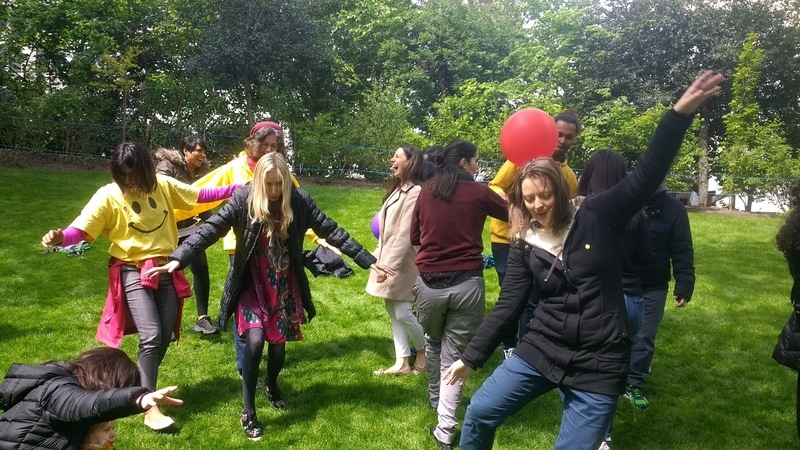 Contact us to add a laughter wellbeing workshop to your event or conference. We are a new forum for Laughter Professionals, created in August 2016 by the founder of Laughter Yoga Wellness UK. Although we are mainly UK based, we currently have 120 members from all over the globe including the UK, USA , Australia and South Africa. A super friendly space for connection, support, collaboration and networking with colleagues. 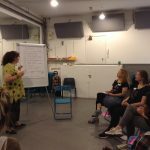 All professional Laughter Facilitators, Laughter Yoga Leaders and Teachers are welcome to join our facebook support forum. A fabulous resource for laughter professionals from the various schools of laughter. The forum is hosted on facebook so you will require a facebook account to join us. Membership is Free of Charge and only open to laughter professionals. When you apply to join via the link, we may ask you to send a copy of your laughter certification or accreditation.